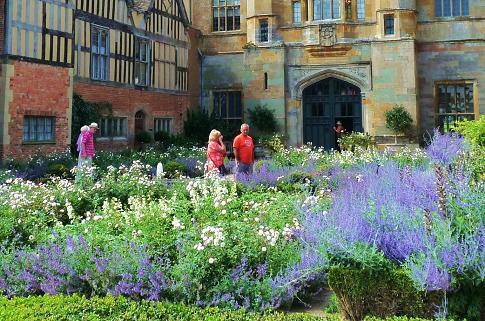 The gardens at Coughton Court are of special significance and although only started in 1991 they have now reached a high degree of maturity and are one of the best in England. 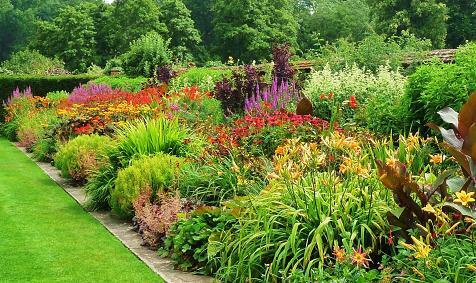 The 'jewel in the crown' at Coughton Court Gardens, near Alcester is undoubtedly the walled garden - at its best in June, July and August, but with colour from May to October. This was opened by Alan Titchmarsh in the summer of 1996. The statue of Rosamund surrounded by Rosa Mundi is the focal point of this feature. There are two main areas, the first being the formal gardens, comprising beautifully maintained herbaceous borders and garden rooms. The second is the informal area which is a riot of colour in July and August with buddlejas, many clematis and rambling roses over arches, and gravel paths taking you through masses of plantings everywhere. The Tudor House is open and is well worth visiting. All in all, one of the best National Trust Properties. 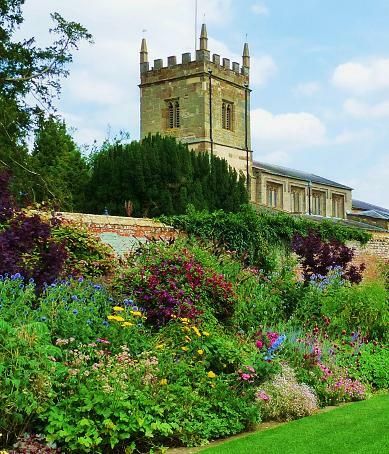 NT Coughton Court House and Gardens 2019 open from 1 March - various days please click through to web site for details. Small charge applies to walled garden for members and non members but well worth paying. If you want to find places to stay near Coughton Court Gardens, why not stay in one of our recommended hotels. 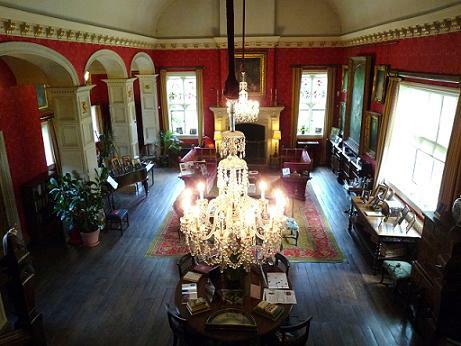 Look now for hotels near Coughton Court- click here.